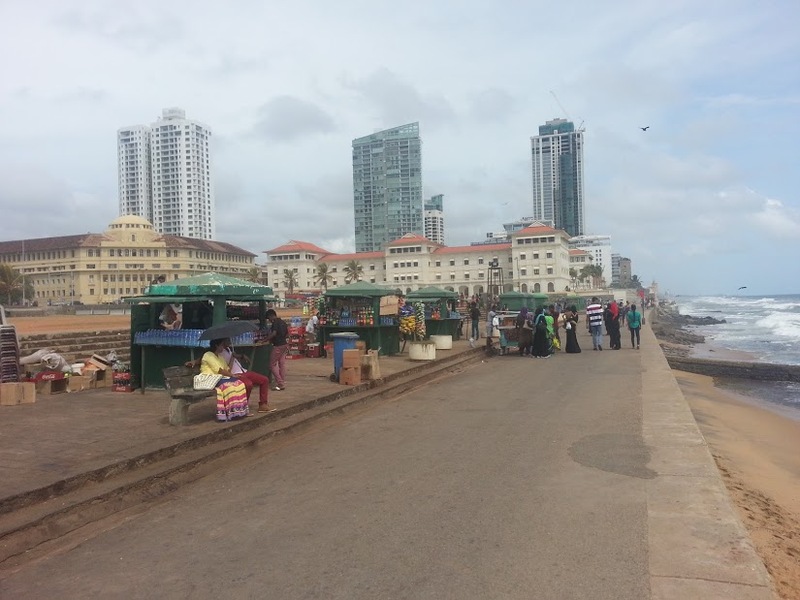 The after effects of partying with people half your age takes a heavy toll on the body and the mind especially the morning after. 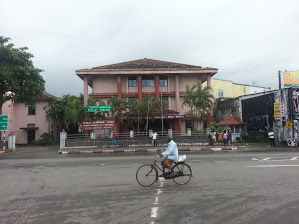 Luckily the owner of the guesthouse I was staying in did not give up on knocking on my door, sort of a wake-up call. 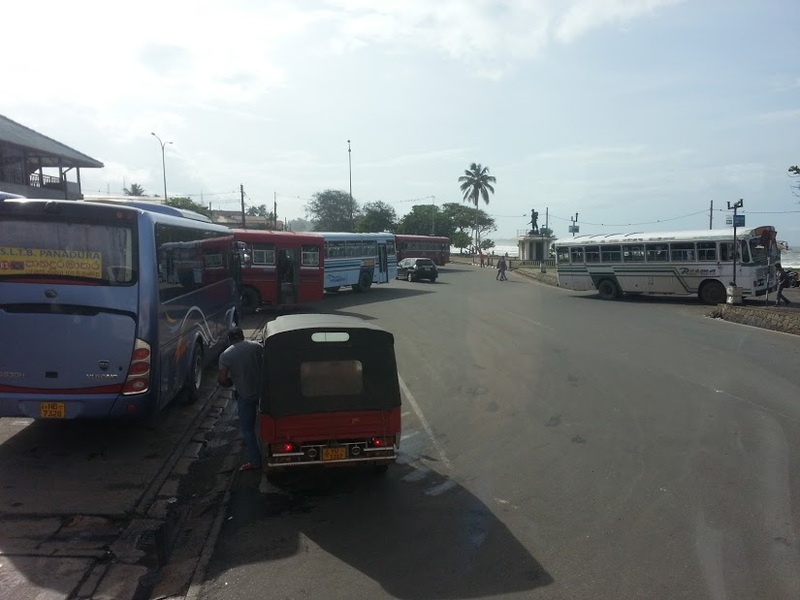 After breakfast, I took a ‘Tuk Tuk’ ride to the town of Matara where I had to take the bus to Colombo via the new highway. 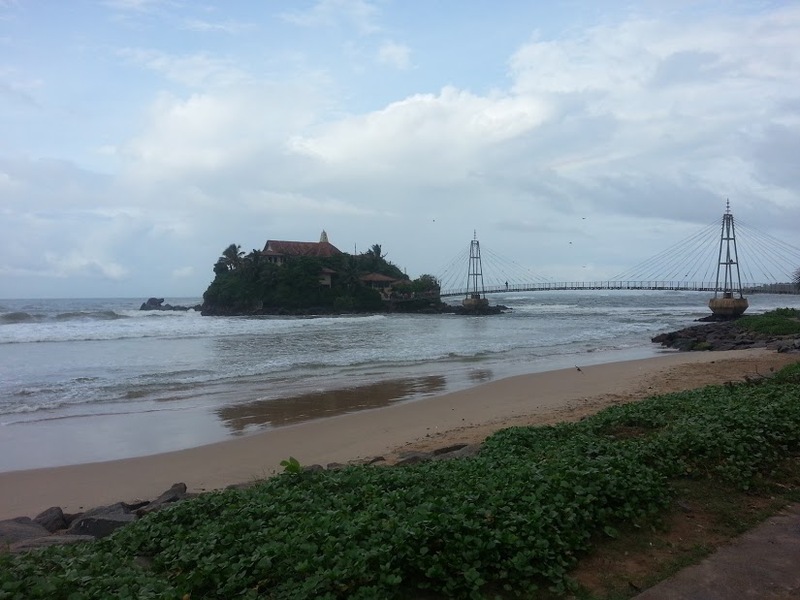 The ride took me about half an hour that passed through small villages and sea side resorts. 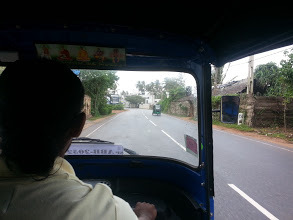 On the way to Matara by a ‘Tuk Tuk’. 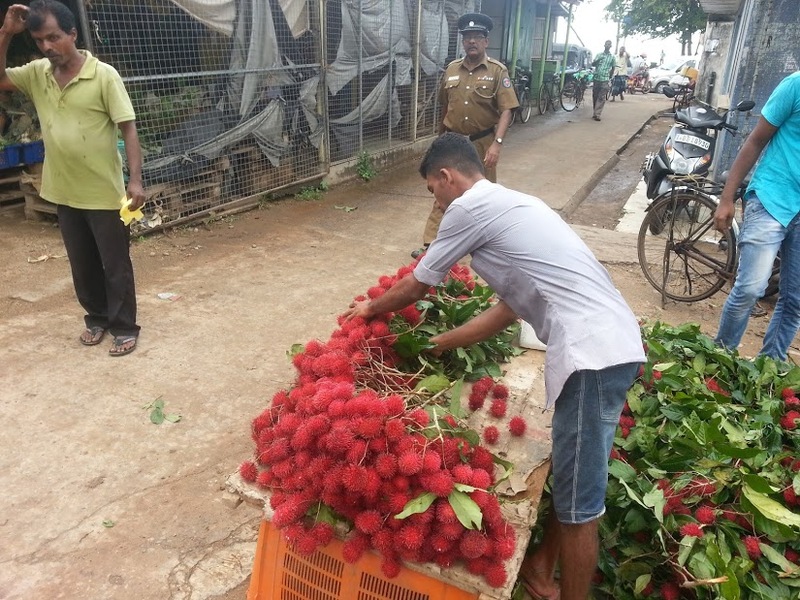 Fruit vendor @ Matara market. 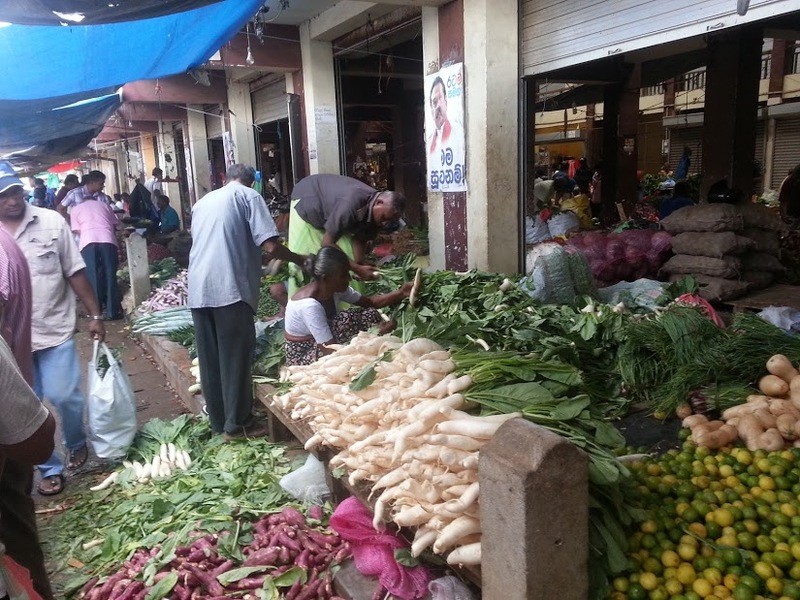 Vegetables stall @ Matara market. 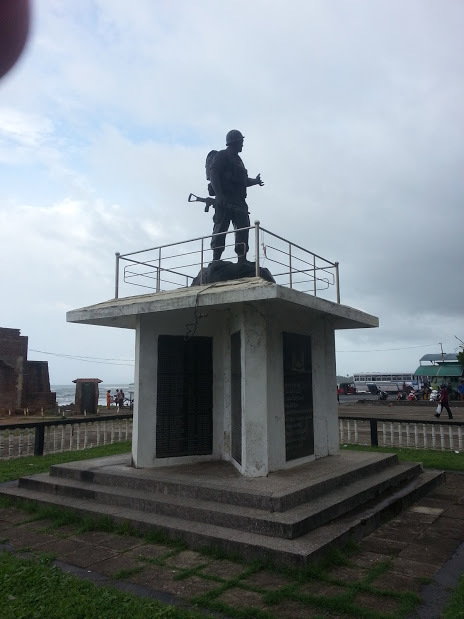 As I arrived Matara town I noticed it was a bit quiet not realising that today was a Sunday. 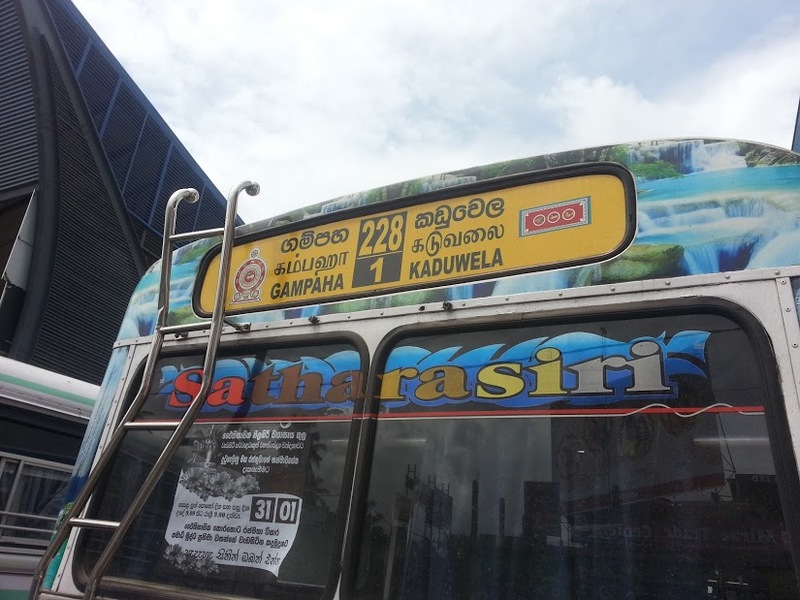 I quickly bought my bus ticket to Colombo where I found out the bus ride will not end at Colombo but at a town called Kaduwela where I then have to take the local bus to Colombo. 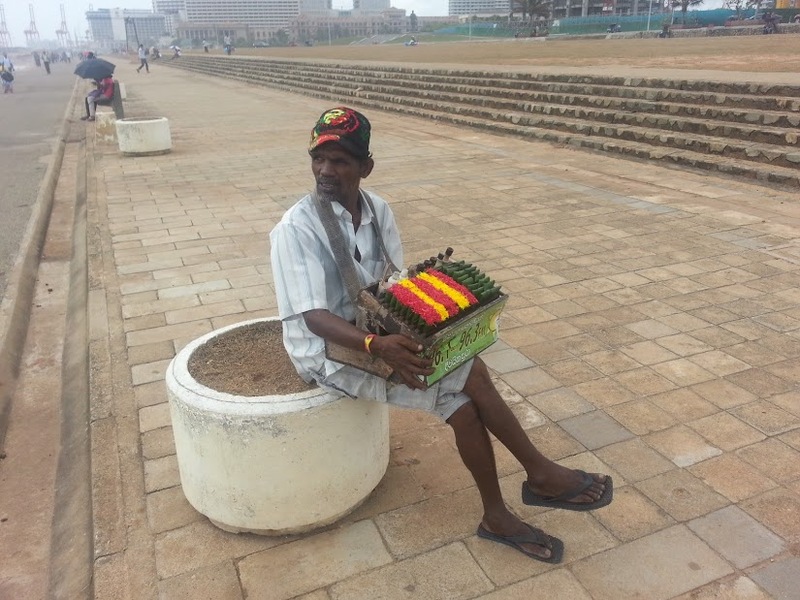 I still had time before the bus departed and I decided to walk about the town. 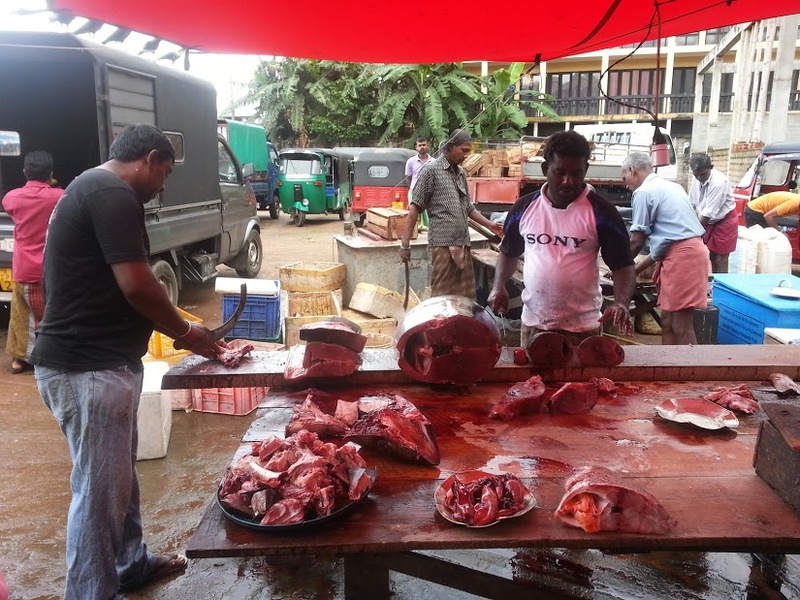 Of course the first place that I would visit is the local market as this is the best place to observe the locals and which I enjoyed the visit. 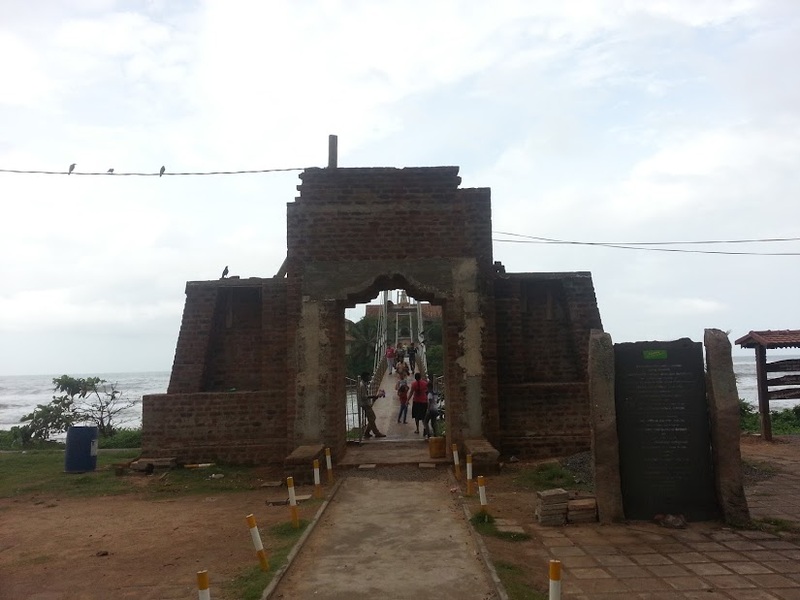 Entrance to Peacock Island Temple, Matara. 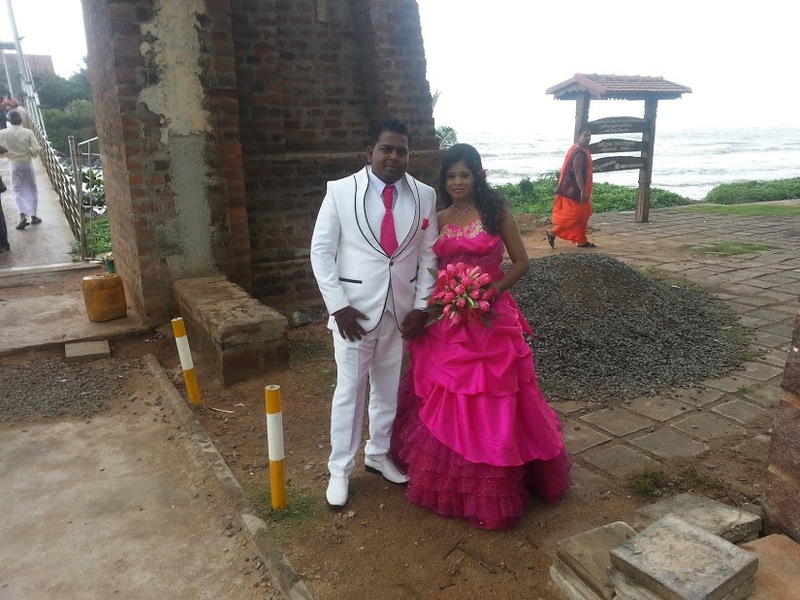 Newlyweds @ Peacock Island Temple, Matara. 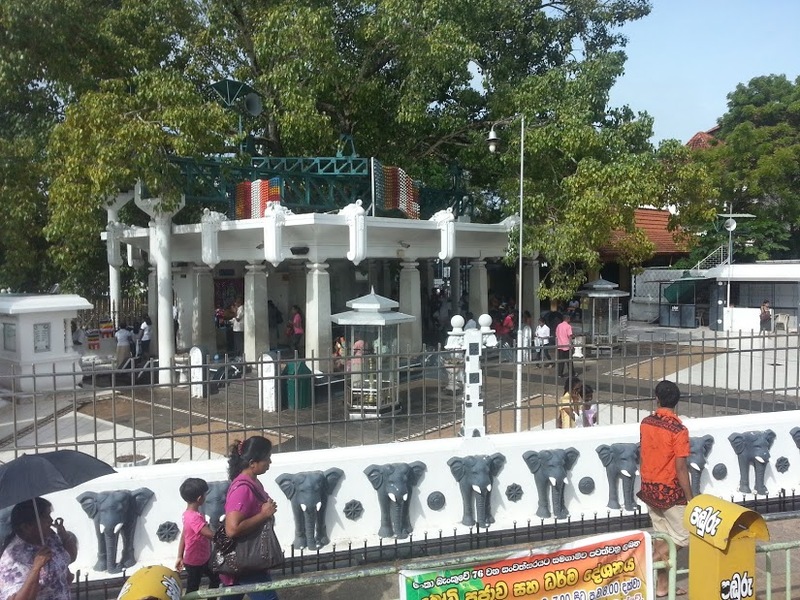 Managed to spend just over thirty minutes wandering around Matara, ended up just sitting on a bench beside the Matara waterfront puffing away and enjoying the sights of the Matara coastline and also the Peacock temple island. 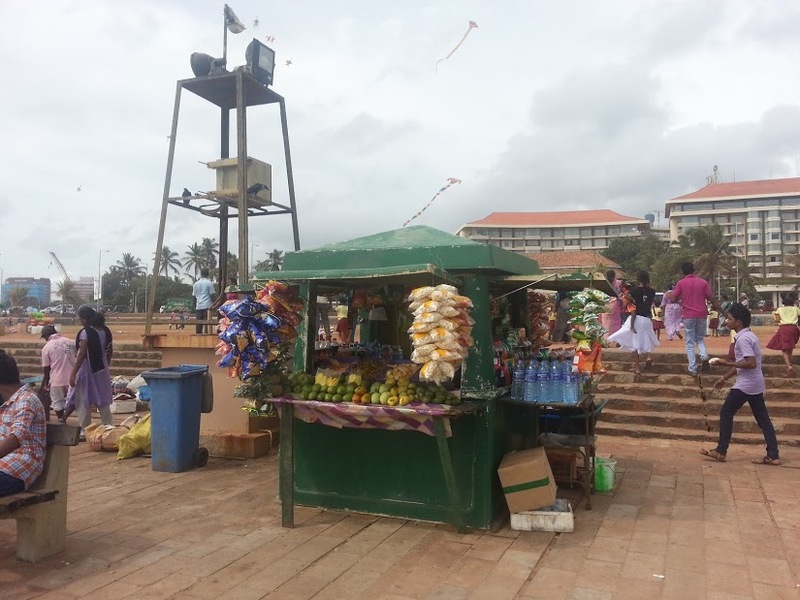 I managed to get a photograph of a newly wed couple who were having their wedding photo shoot session and after some persuasion they agreed to pose for a few shots for me. 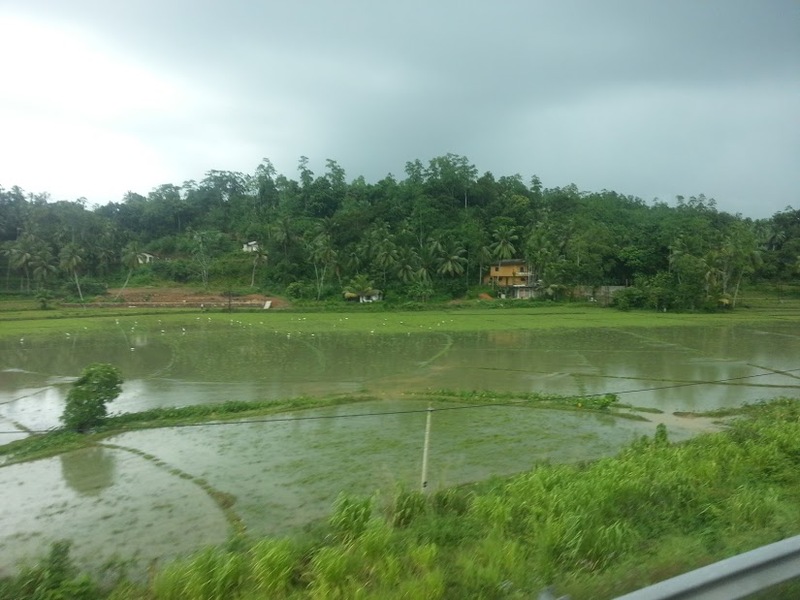 Along Matara – Kaduwela highway. 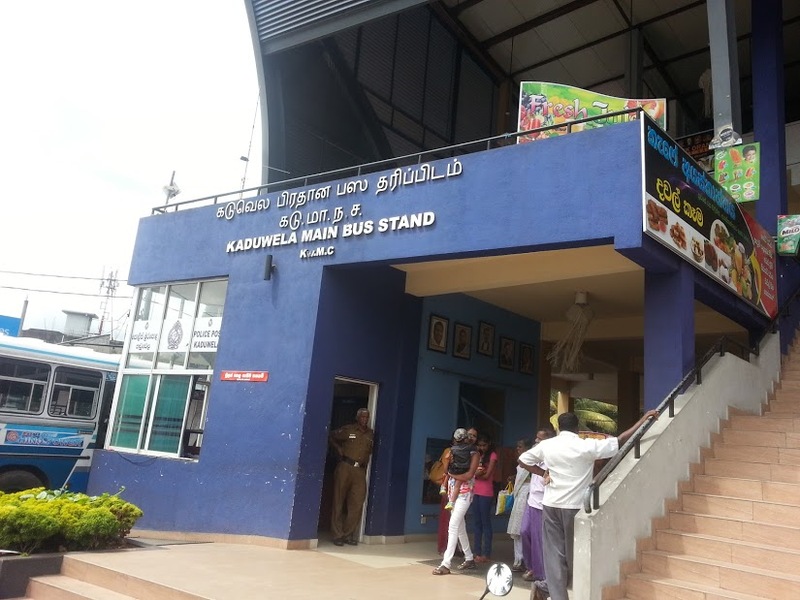 Bus @ Kaduwela Bus Station. 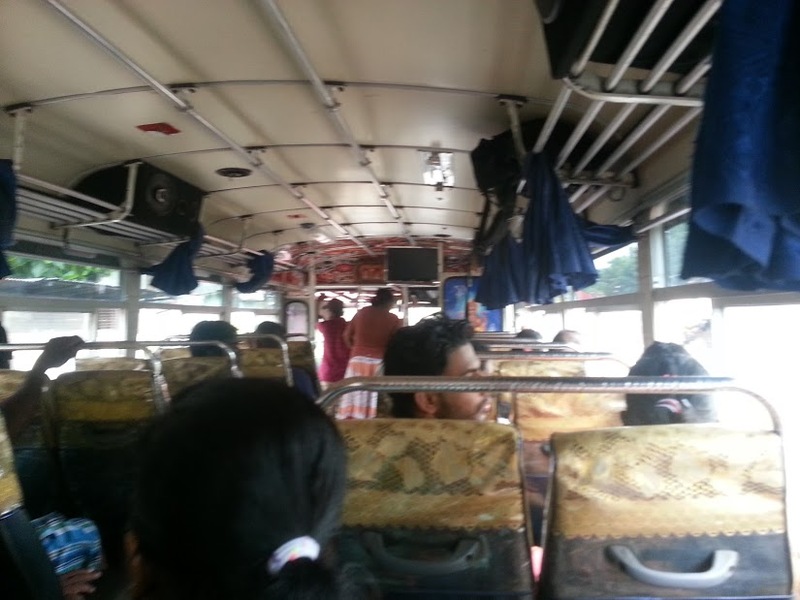 The Fakawi Traveller on the Kaduwela to Colombo bus. 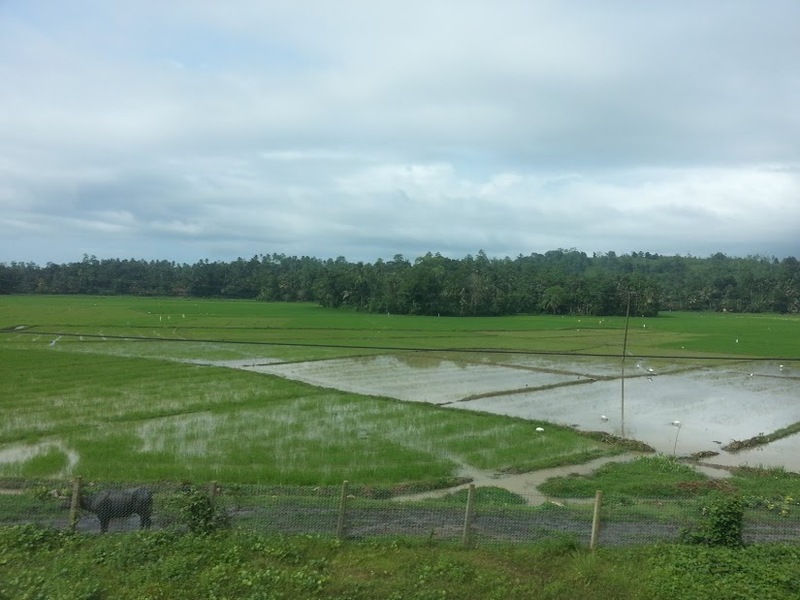 The bus journey from Matara to Kaduwela took around two hours using the brand new highway which passed through paddy fields and by-passing small villages. 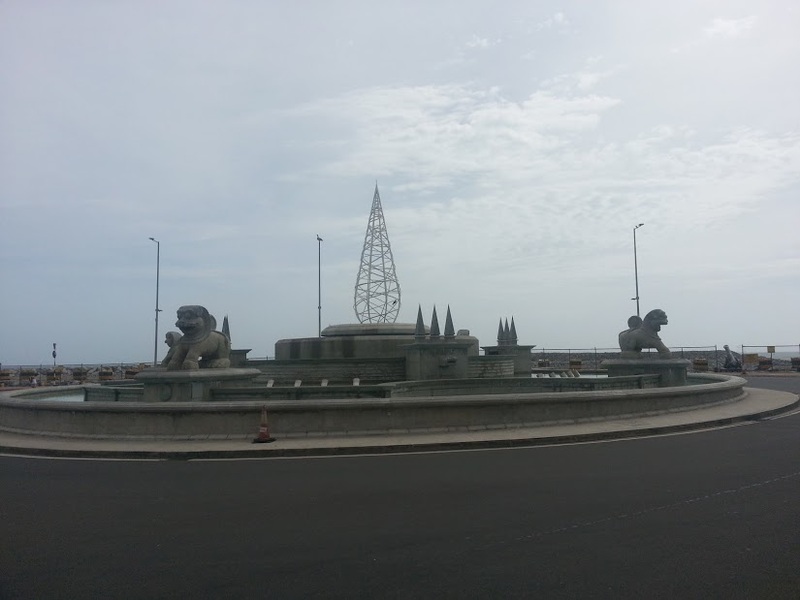 I just lasted around an hour before reaching dreamland throughout the journey. 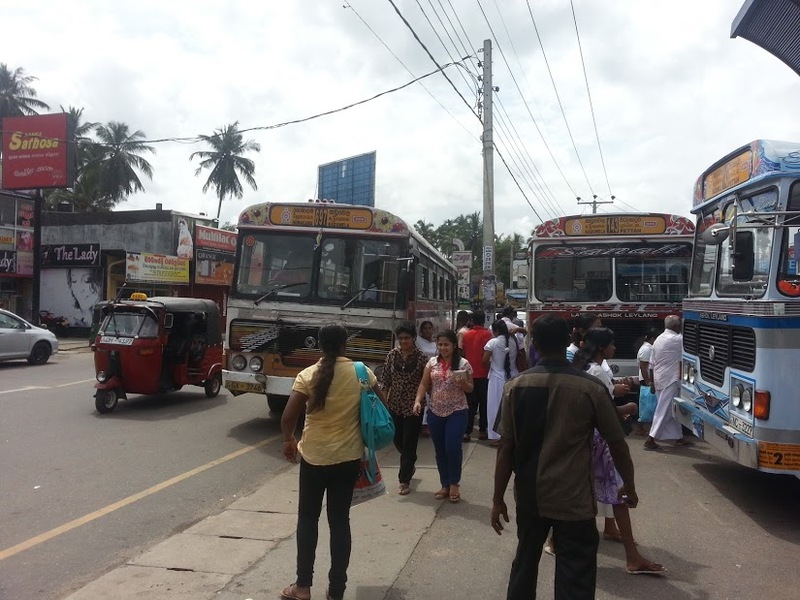 I found myself reaching the small town of Kaduwella upon waking up from the short nap where I managed to find my connecting bus to Colombo and it took more than an hour for the bus to reach Colombo. 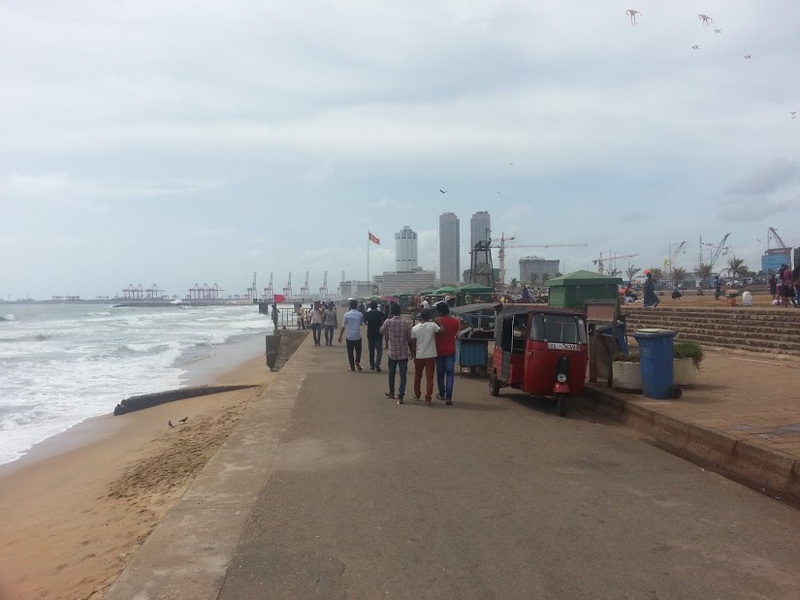 The journey took me through the small outskirt towns thus braving the traffic which was getting heavier as it was reached the Colombo main bus stop. 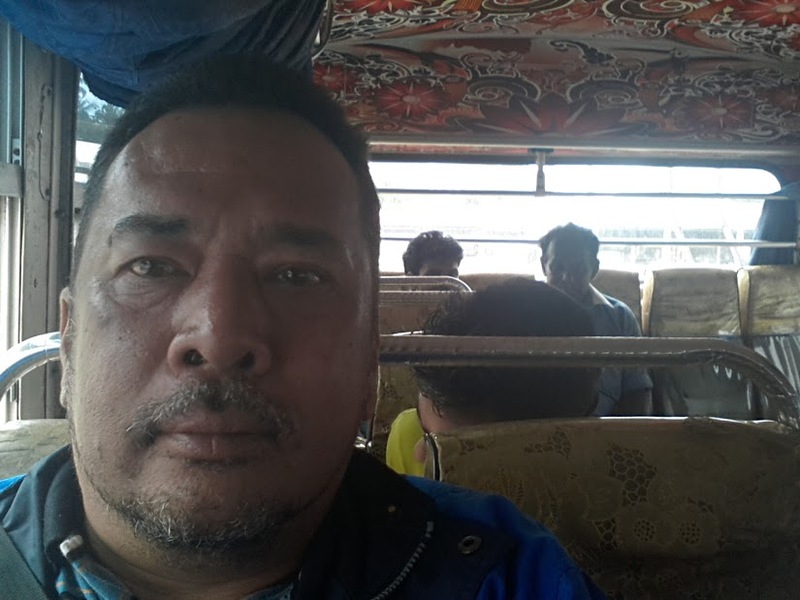 The bus ride itself was a good experience as I could see the the daily lives of locals first hand and also the life at the villages along the way. 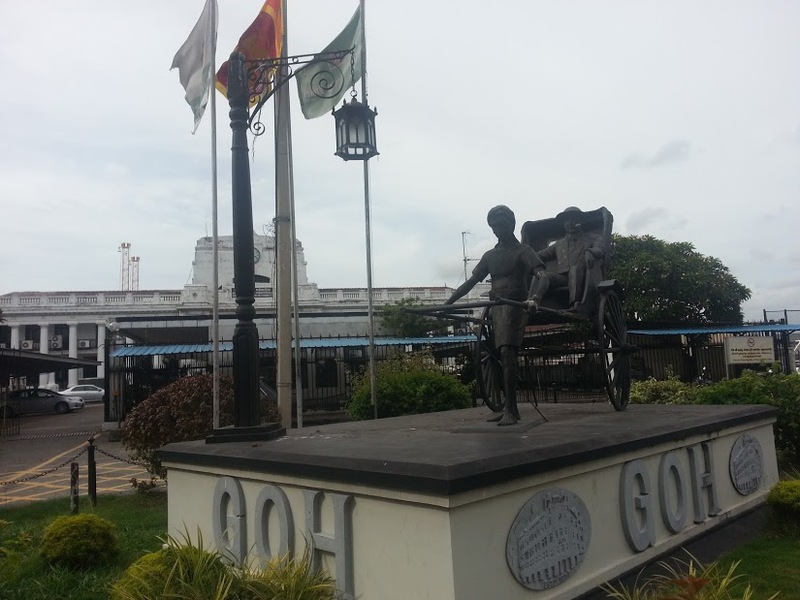 Entrance to The Grand Oriental Hotel, Colombo. 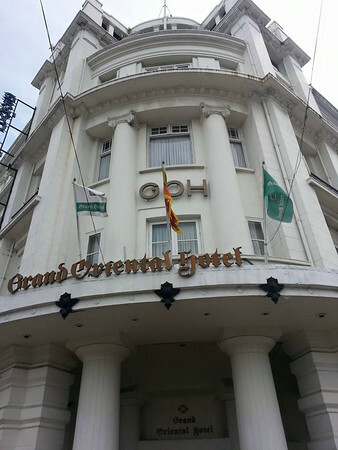 The Grand Oriental Hotel exterior. 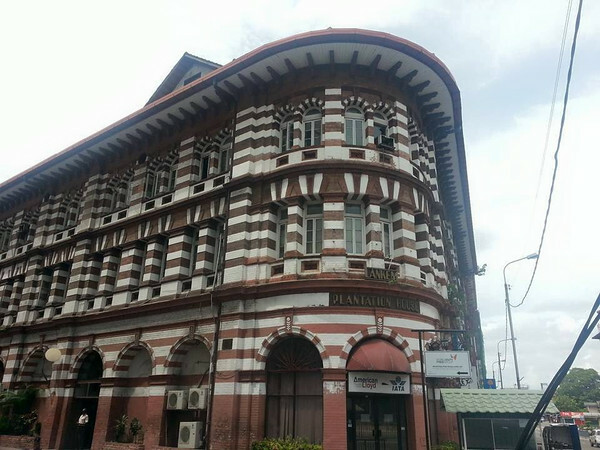 Entrance of The Grand Oriental Hotel, Colombo. 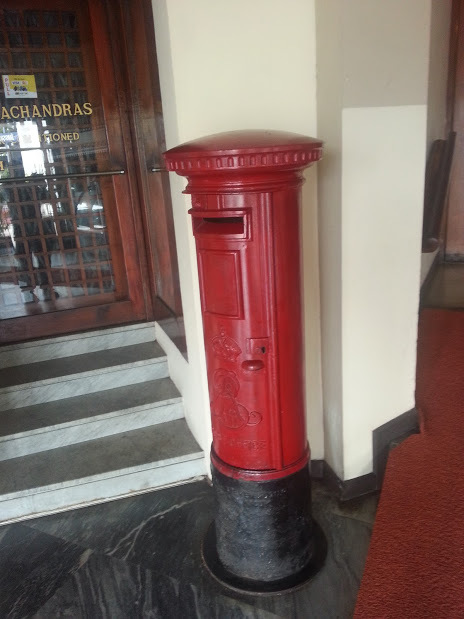 Post Box @ The Lobby of the Grand Oriental Hotel, Colombo. 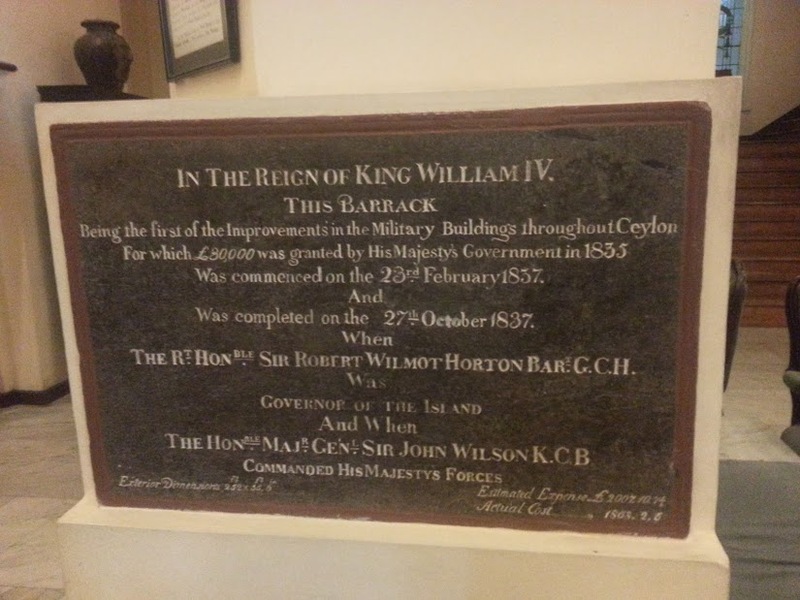 Plaque @ The Lobby of the Grand Oriental Hotel, Colombo. 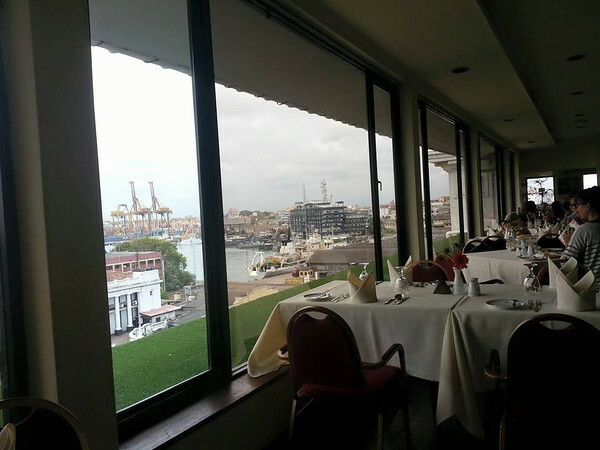 ‘Sunday Brunch’ @ Grand Oriental Hotel, Colombo. 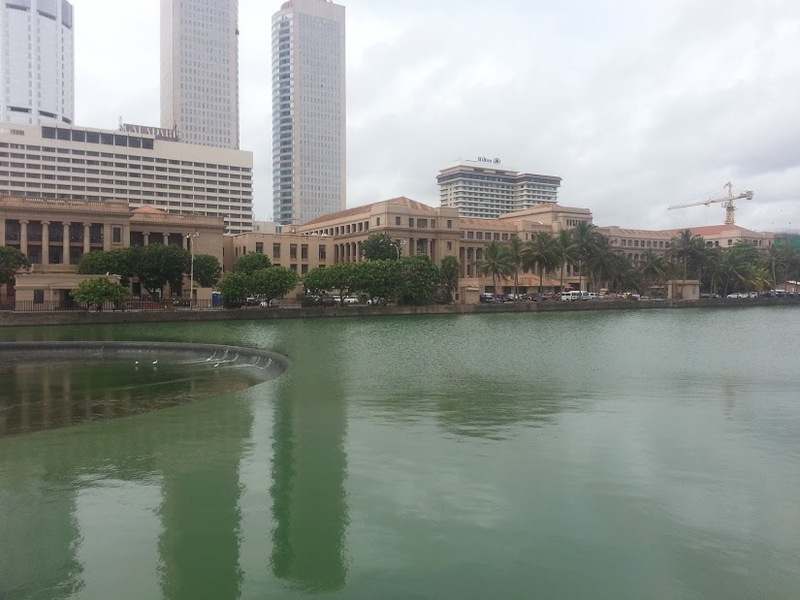 Colombo Port building from the Grand Oriental Hotel. 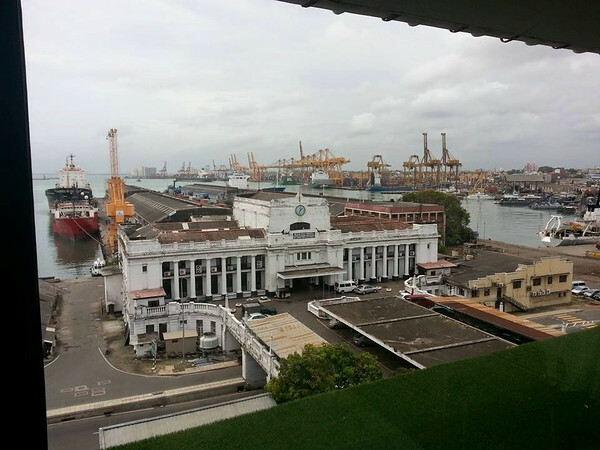 Port of Colombo from the Grand Oriental Hotel. 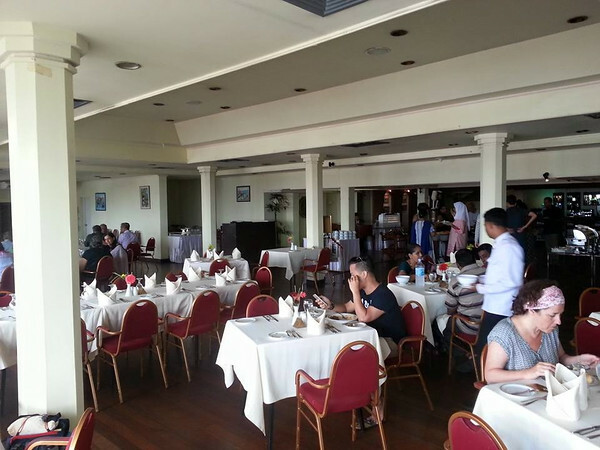 Sunday brunch, Grand Oriental Hotel, Colombo. 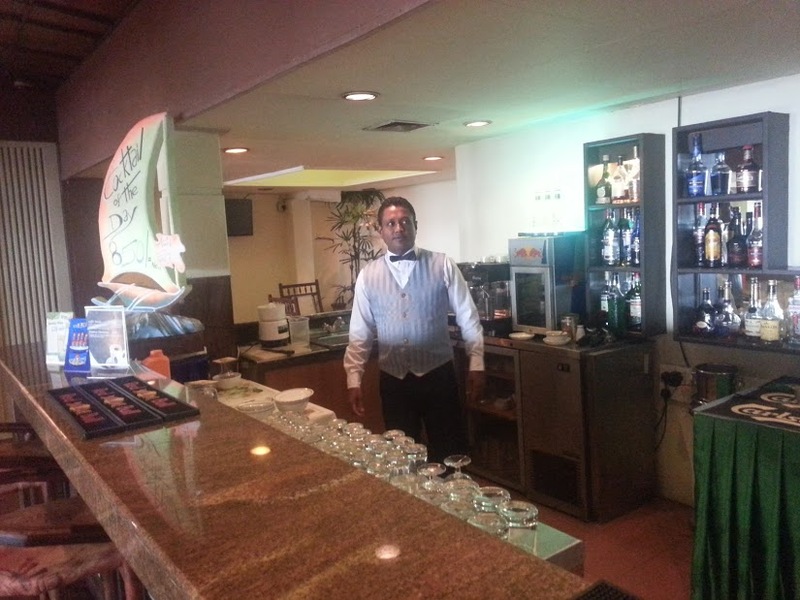 Long Bar @ The Grand Oriental Hotel, Colombo. 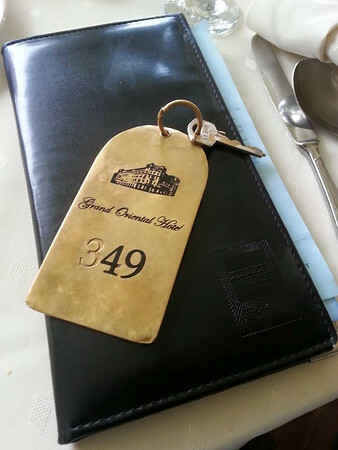 Sunday Brunch @ Grand Oriental Hotel, Colombo. 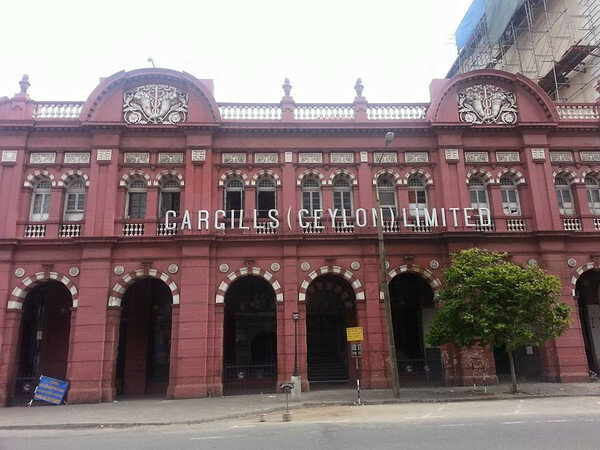 On arrival at the Colombo main bus station, without any hotel reservations and with winnings from the previous Casino visit, I decided to splurge a bit. 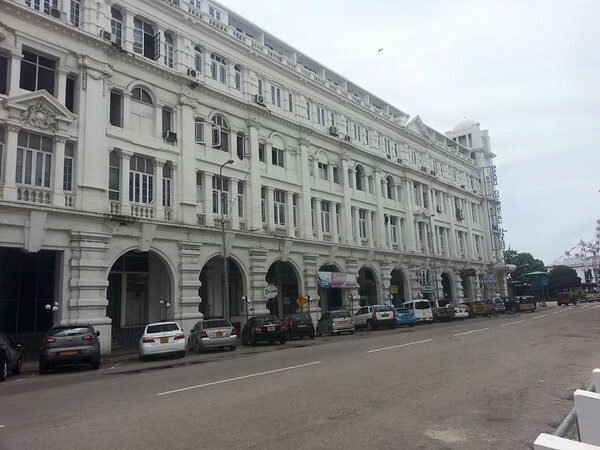 I decided to check-in into the once grande old dame of Colombo which is the Grand Oriental Hotel. 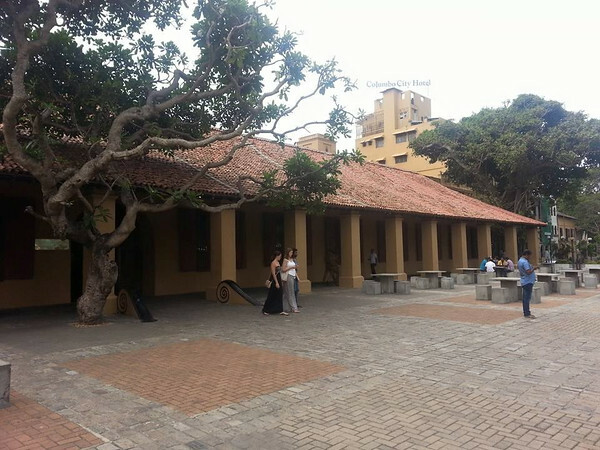 It was once the mansion of a Dutch Governor and also a military barracks for the British troops. 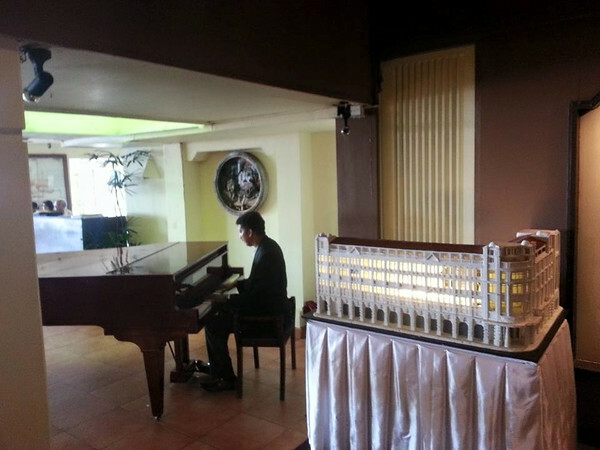 It boasted guests such as Jose Rizal, the famous Filipino nationalist, where a suite in the hotel is named after him. 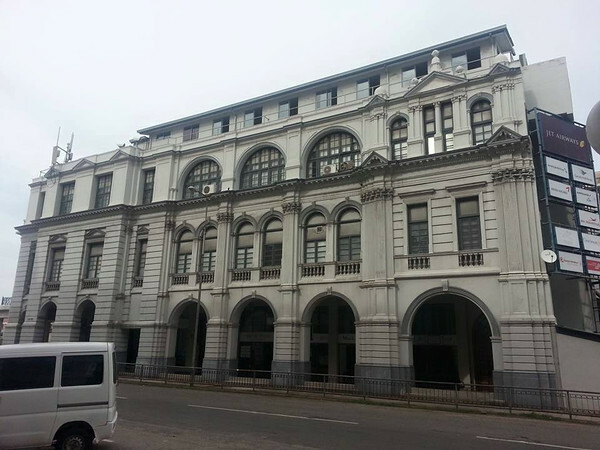 HRH Queen Elizabeth, The Duke and Duchess of Kent once patronised the hotel during their voyages around the world. 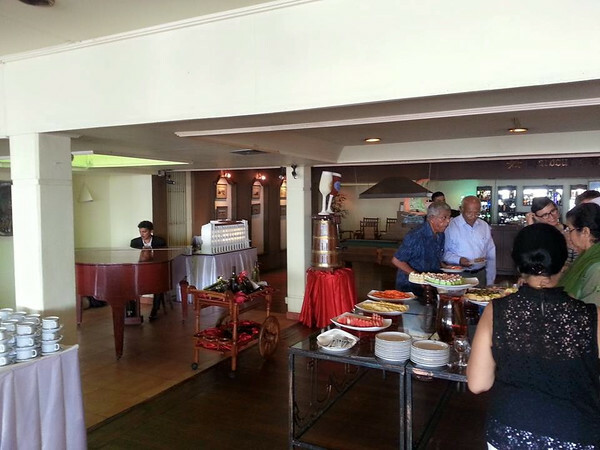 After checking in and refreshed myself I had the Sunday buffet brunch at the Harbour View Restaurant in the hotel. 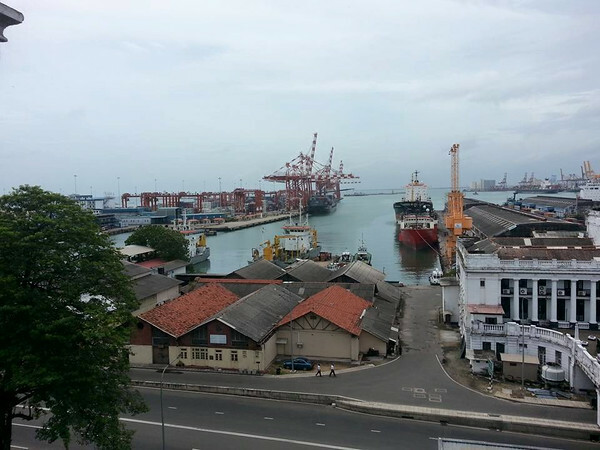 Located at the top floor of the hotel, one could enjoy the stunning views of the Port of Colombo in full scale which I really did. 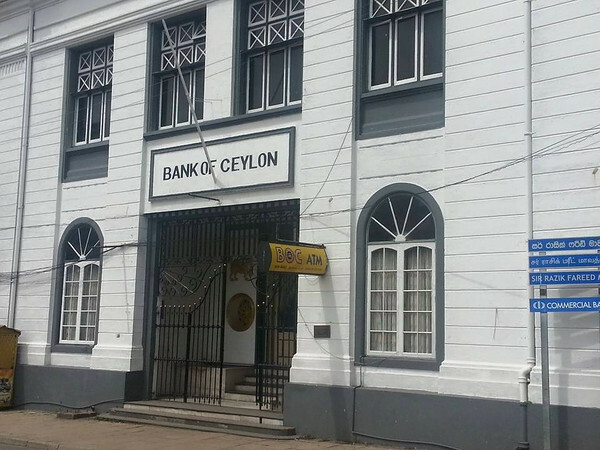 Bank of Ceylon building, Colombo. 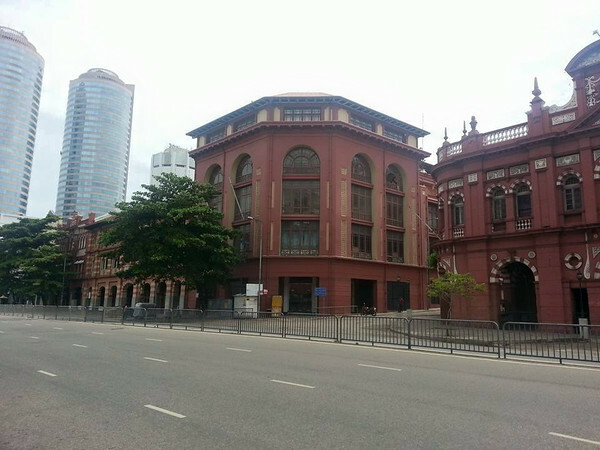 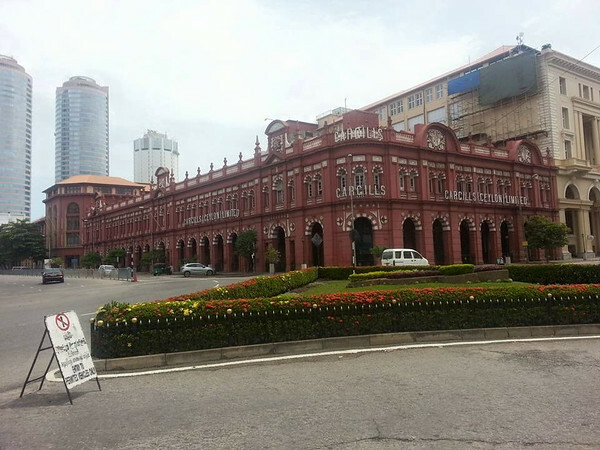 After the enjoyable brunch, I decided to take a walk around the hotel vicinity to look at the British colonial buildings that were located along the hotel area which is also known as the ‘Fort area’. 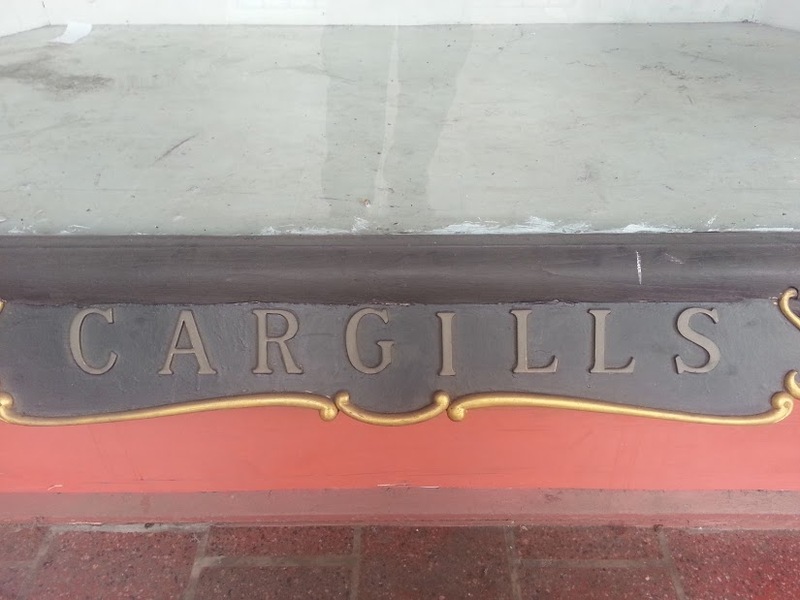 One building which caught my eyes was the Cargills – Millars departmental store building originally called the ‘Australian Building’. 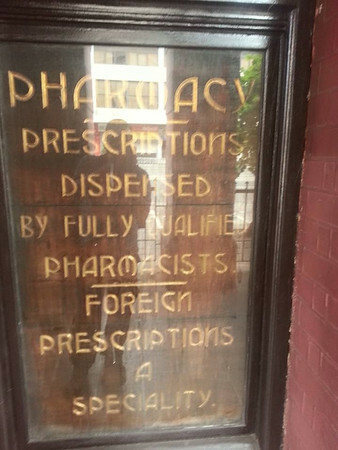 As I looked at the building it was if as you are stepping back into history. 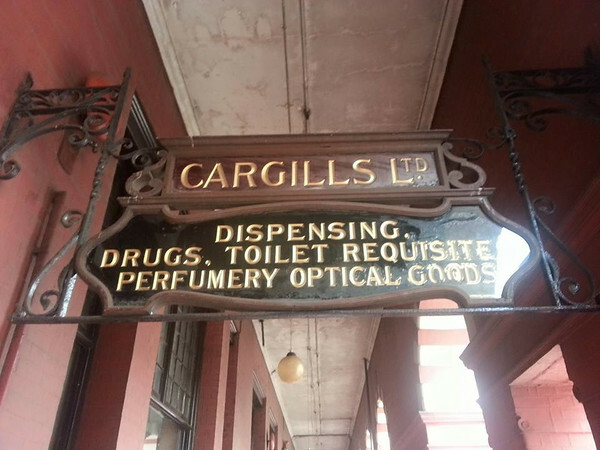 It must have been one of the places to shop and to be seen during it’s heydays. 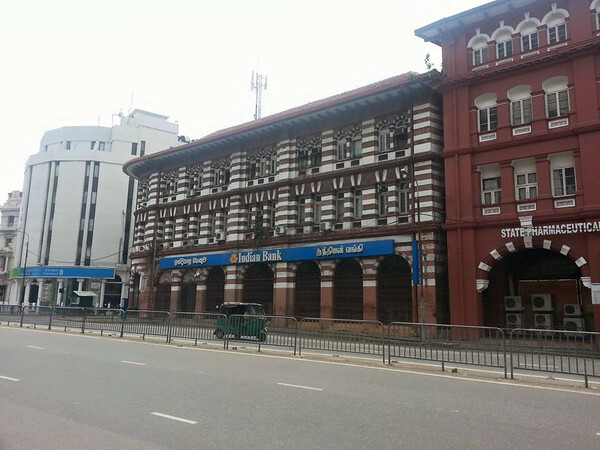 Presently it has a small supermarket and also a KFC restaurant. 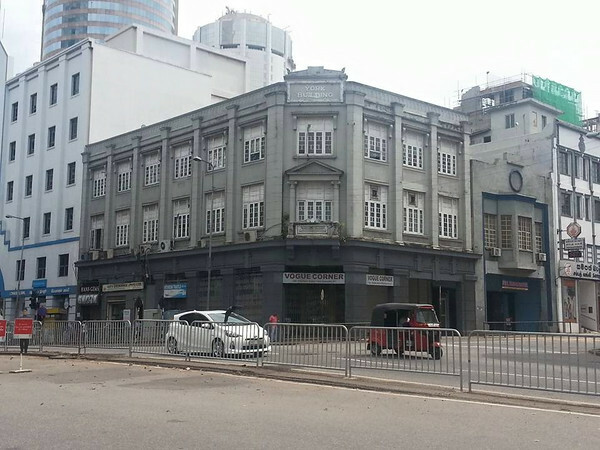 With it’s archways over its pavements it’s ‘a shadow of it’s past’ and it has seen better days. 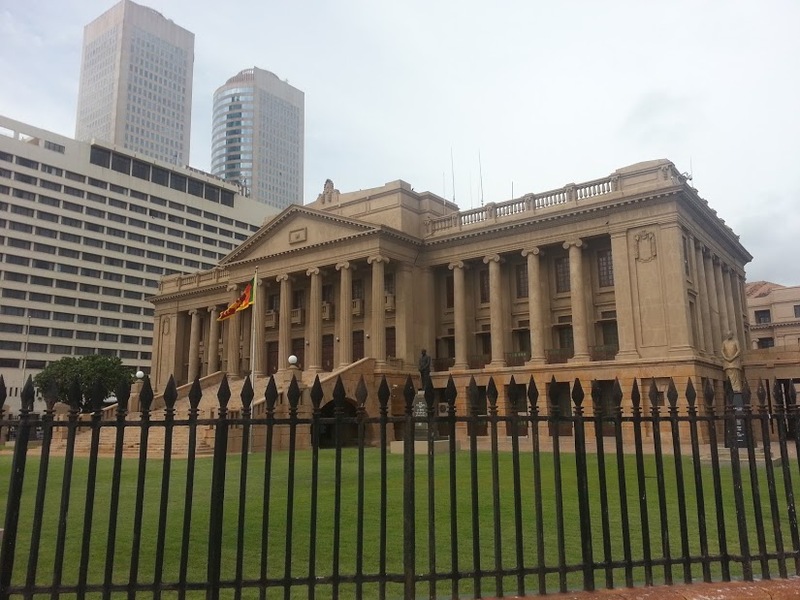 The other colonial buildings in the area are the Plantation House, The Bank of Ceylon, York House and the new Australian House. 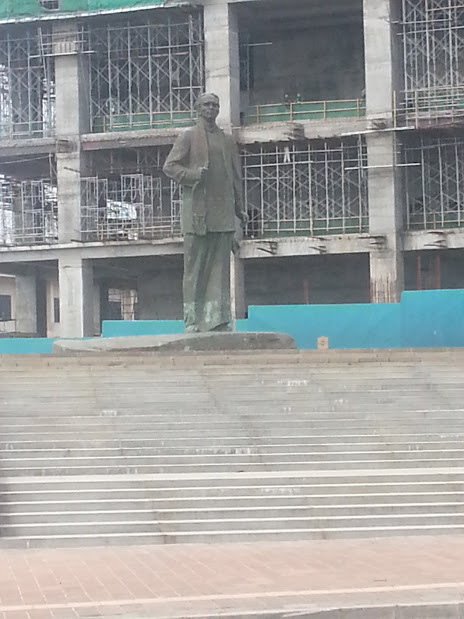 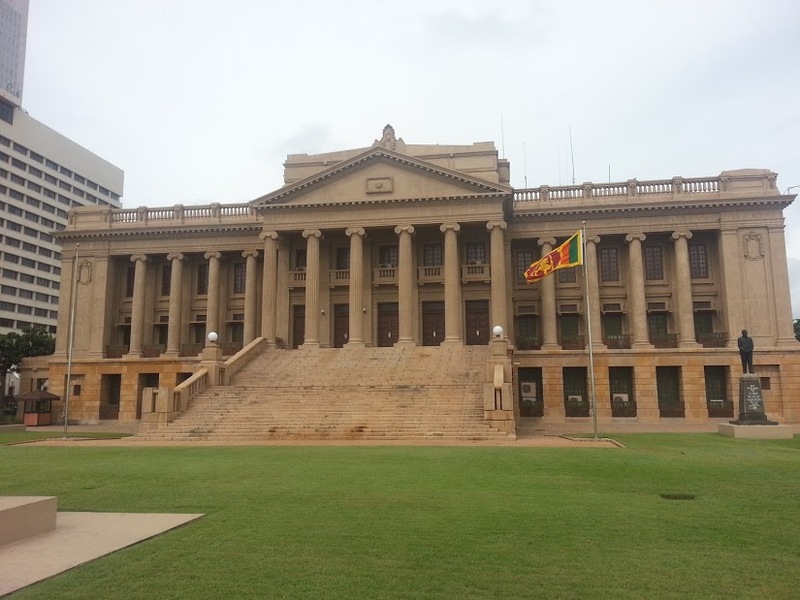 The old Parliament Building, Colombo. 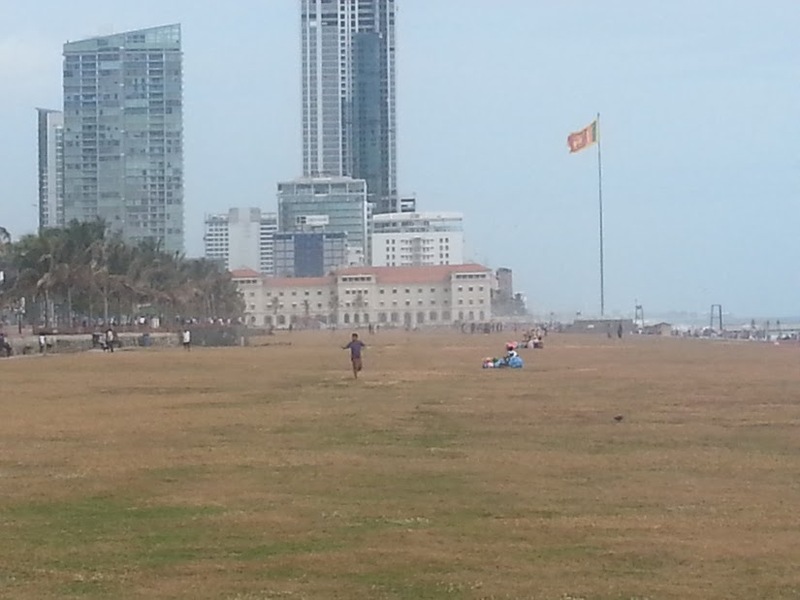 As the sun was setting I took a ‘Tuk Tuk’ to the Galle Face Beach where luxurious hotels and the famous Colombo Gymkhana Club are located. 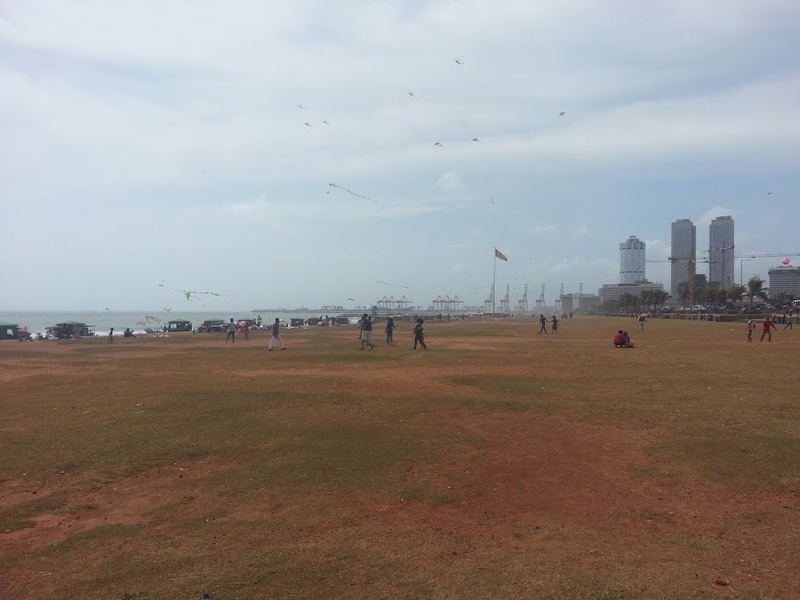 The Galle Face Beach is a five hectare park that offers great sunset views and is also popular among visitors to spend their evening escapades with children playing cricket, flying kites and running around. 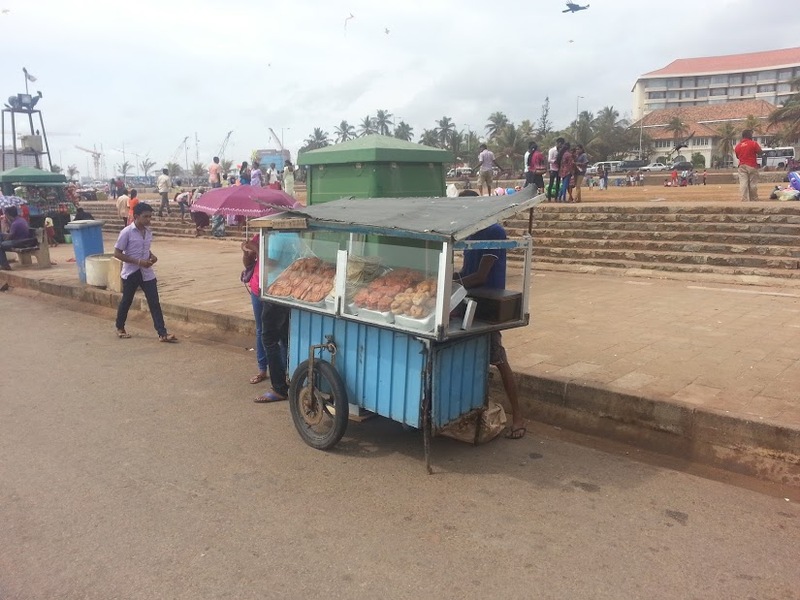 It is full of vendors selling items ranging from food up to betel nut and kites. 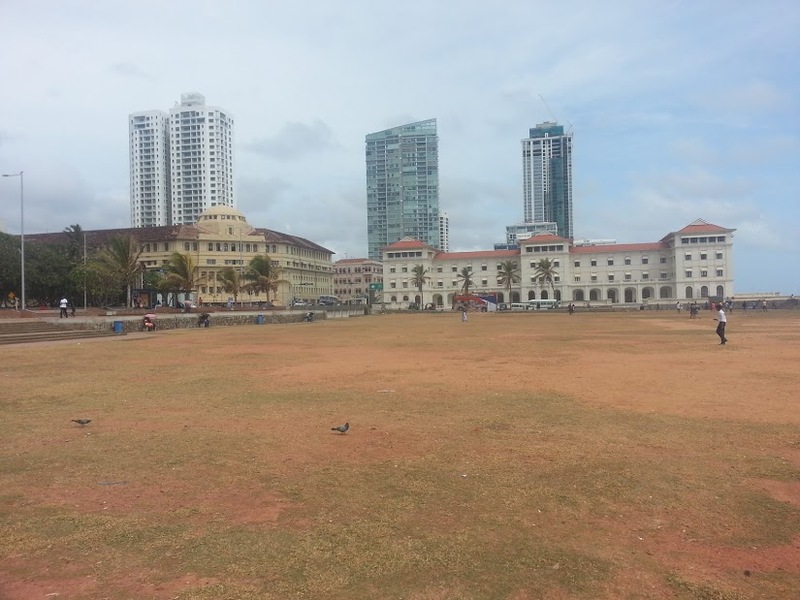 During the British colonial times, rugby, cricket, golf and even horse racing events were held there. 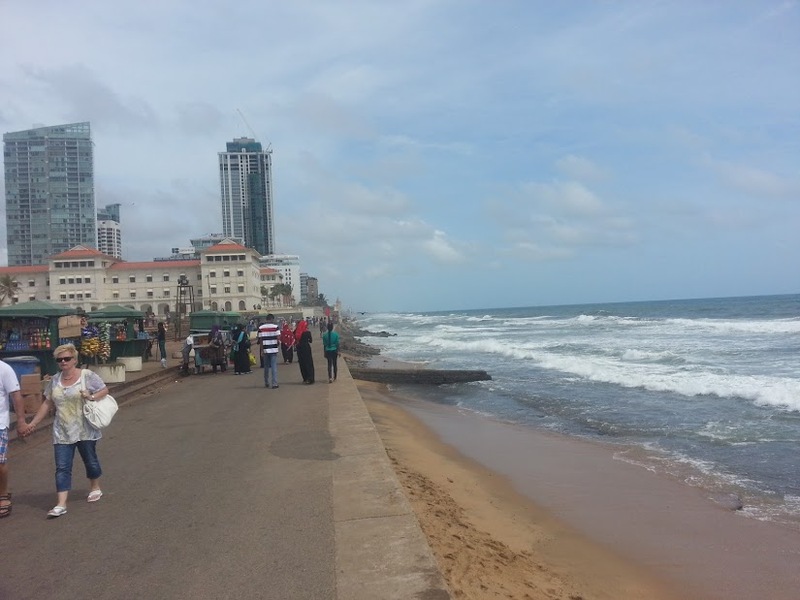 Strolling along the beach did wonders for me in appreciating life. 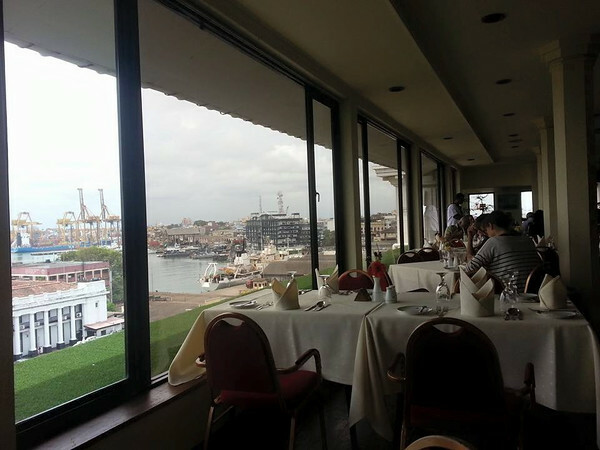 Watching people that were enjoying themselves with what they had. 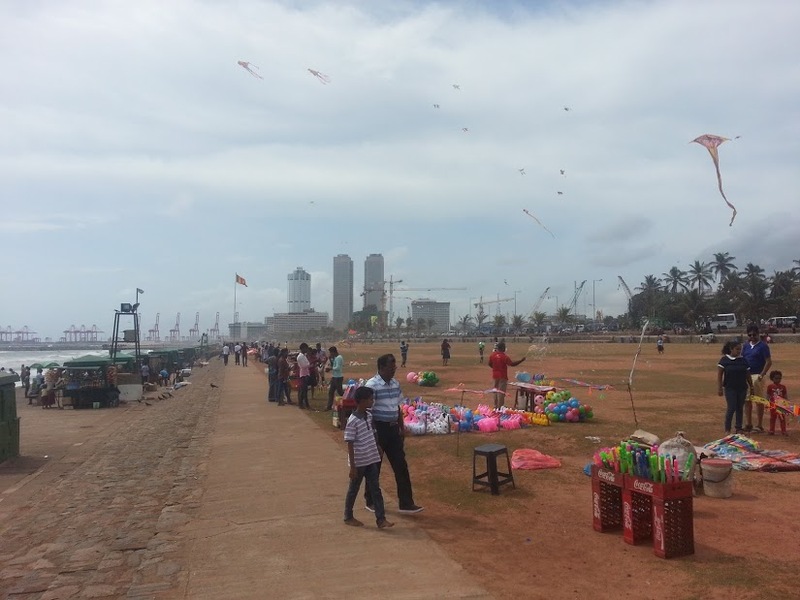 Children running around the beach and flying their kites makes me wonder that there is still the basic old entertainment for them unlike now where there are smart phones or tablets that would keep them occupied. 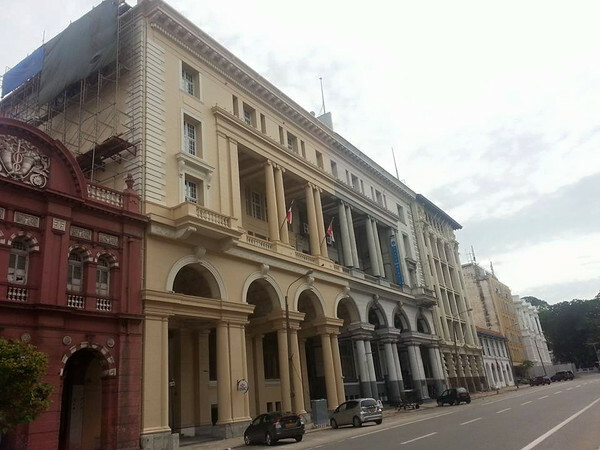 I took a slow walk along the beach enjoying the sunset walking past the old Parliament building and making a stop at the old Dutch hospital for a drink which was turned into a over priced food court and departmental store. 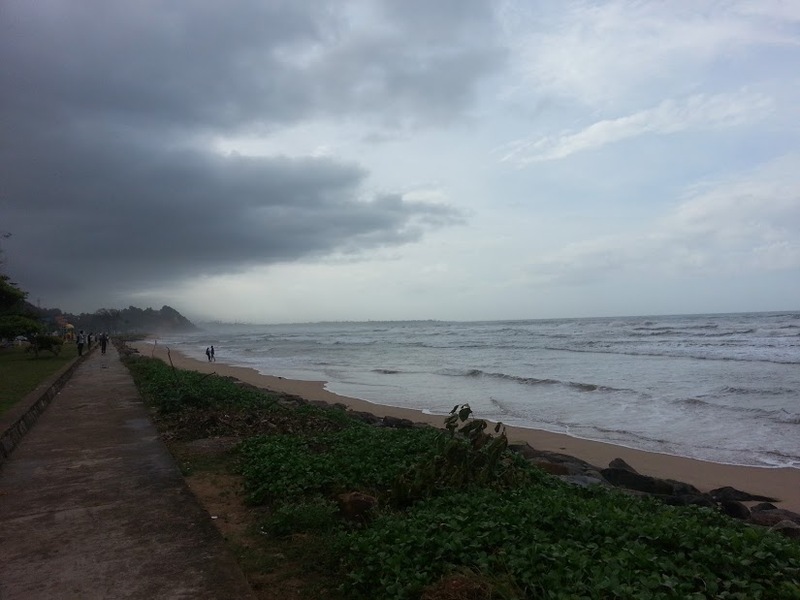 Hmmmm …… now the plan has to be postponed to Tuesday morning. 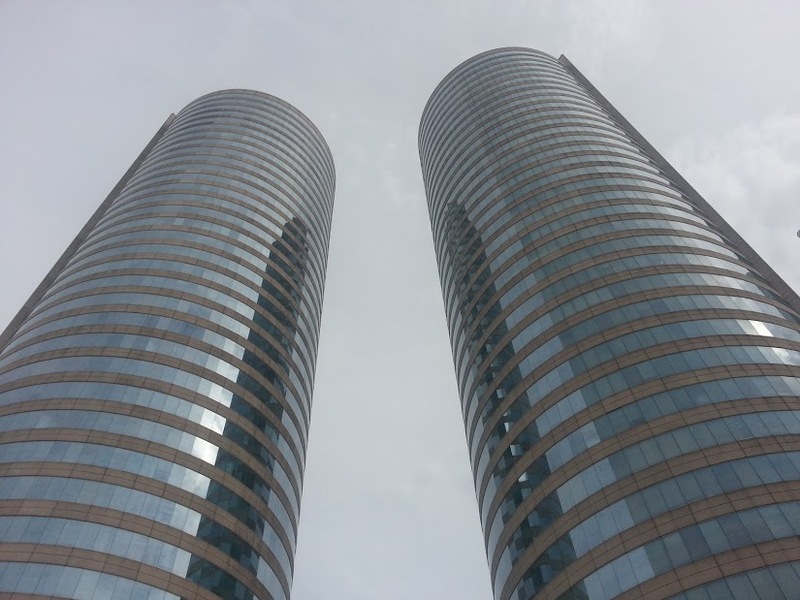 Ah haaaa, now I could visit the Casino again tonight …….